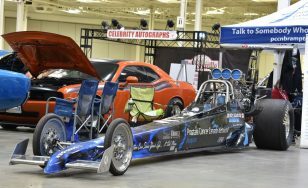 A perennial supporter of the Motorama Custom Car & Motorsports Expo, Prostate Cancer Canada (PCC) has been named as the official charity of the biggest car show of its kind in Canada. For the 2019 edition of Motorama – which runs March 8, 9 & 10 at Toronto’s International Centre – Prostate Cancer Canada will again be represented by the Brampton chapter of the Prostate Cancer Canada Network of peer support groups (PCCN). 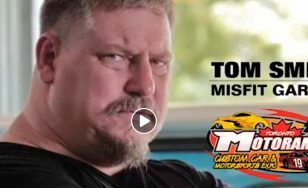 Tom Smith of Misfit Garage will be at Motorama all three days (March 8, 9 & 10). You can pre-purchase your tickets to meet Tom and our other celebrity guests, as well as seeing hundreds of incredible cars here. TJ Zizzo is one of those veteran drag racers who has come to realize that ‘quality over quantity’ will often produce the most satisfying results. 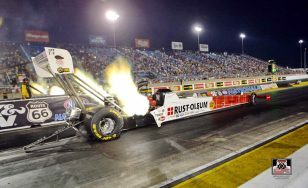 The NHRA Top Fuel driver has run a partial schedule in recent years, driving the Rust-Oleum-sponsored dragster. Courtesy of Rust-Oleum Canada, Zizzo will attend the Motorama Custom Car & Motorsports Expo on Friday and Saturday (March 8 & 9). While at the show, at Toronto’s International Centre, he’ll participate in various panel discussions and awards presentations on the Rust-Oleum Stage, including the Automotive Education session geared toward students interested in an automotive career, on Friday at 11:30 a.m.
Zizzo will also connect with fans at the Rust-Oleum Autograph Booth, signing autograph cards and taking pictures. Some people spend a lifetime trying to get on television. 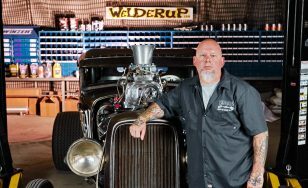 However, it was television that came calling on Bloomingdale, Ontario’s Grant Schwartz, a call that ultimately resulted in a two-year stint with the Las Vegas-based WelderUp gang and a role on the Vegas Rat Rods television show. From Bloomingdale, to Las Vegas, and ultimately back to Elmira, Ontario, Schwartz has returned to his roots – both personally and professionally – and on March 8, 9 & 10, Schwartz will bring his skills, knowledge and stories to the 5th annual Motorama Custom Car & Motorsports Expo. The show takes place at The International Centre, across from Toronto’s Pearson Airport. The fifth annual Motorama Custom Car & Motorsports Expo will recognize and celebrate the 55th anniversary of the legendary Ford Mustang. 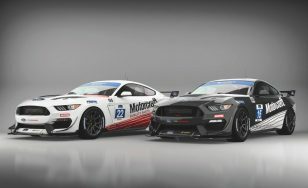 Presented by Multimatic Motorsports, The Mustang Corral will feature an eye-catching assortment of street and racing versions of the iconic muscle car, from its introduction to the present. Still reeling from the failure of the Ford Edsel, Henry Ford II was originally reluctant to approve Lee Iacocca’s concept for the new Mustang. Eventually, Ford relented, and production began, with the first example rolling off the assembly line on March 9, 1964. Over the ensuing 55 years, six generations of Mustangs – totalling over 10 million vehicles – have been produced. 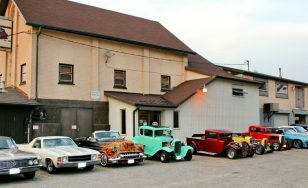 Every year, Car Show co-ordinator Gary Challice and the Motorama Custom Car & Motorsports Expo team are tasked with determining which car club will be recognized as the ‘featured club’ at the show. 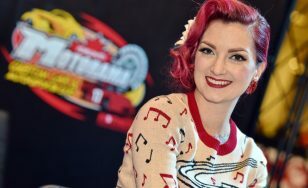 Although Cherry Dollface describes herself as ‘some broad who sits in front of a camera sometimes,’ and ‘loves dressing up, cupcakes and Tom Selleck,’ the Oregon-raised celebrity is actually much more than those things. She’s also a much sought-after magazine cover girl, a model, an actress, as well as a make-up and hair styling artist and instructor. 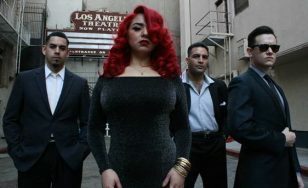 And on March 8, 9 &10, she will make a return visit to the Motorama Custom Car & Motorsports Expo as an invited celebrity guest. “I’m looking forward to seeing all of the friends I made the last time at Motorama, and to making so many more new ones. I am also very much looking forward to seeing all of the cars,” exclaimed Cherry. 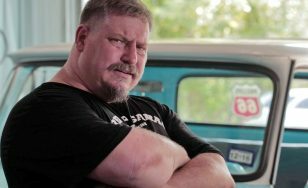 Tom Smith, one of the stars of Discovery Channel’s Misfit Garage will be at the Toronto Motorama Custom Car & Motorsports Expo all three days of the show, meeting fans, talking about cars and his television show, and participating in a variety of events. Motorama takes place March 8, 9 & 10 at the International Centre, across from the city’s Pearson Airport. Undoubtedly the funniest of the ‘misfits’ who work at Dallas, Texas’ Fired Up Garage, Smith is very serious about his love of automobiles. Born in Ohio but raised in Georgia, he started working at his uncle’s salvage yard at a young age. Between that and other jobs and chores, he was able to save enough money to purchase his first car – a ’73 Pontiac Grand Ville two-door – at the age of 10.